Wisp Resort is looking to open Friday, November 28th! Deep Creek Lake received their first big snowfall Monday and Tuesday of this week, accumulating about 6 inches. 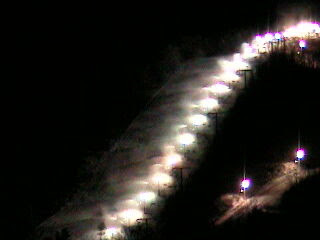 With more snow in the forecast, Wisp has been blowing snow all through the nights. 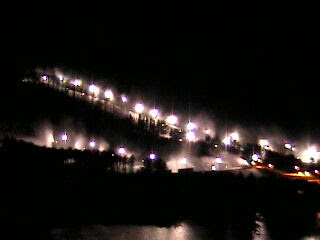 Wisp has one of the world’s largest most energy-efficient snowmaking systems with computerized weather and pumping stations that are world-renowned for their efficiency! Locals, vacationers, and day trippers will be able to enjoy the 132 acre ski terrain over the Thanksgiving holiday. Not a skier or snowboarder? There are a number of activities for you to enjoy. Try horse drawn sleigh rides, snow mobile tours, mountain coaster rides, cross country skiing, dog sled tours, spas, shopping, and plenty of dining options to please anyone’s palette.